Do you have thousands of emails in your inbox? Do you struggle to find important emails. Many people receive 100s of emails a day and keeping track of these emails and getting quick access to important emails becomes a problem. In this tutorial we will look at how Google automatically tries to organise your email, and how you can use the inbuilt management features of Gmail to better organise your inbox. In most email client all incoming email is placed in your inbox. 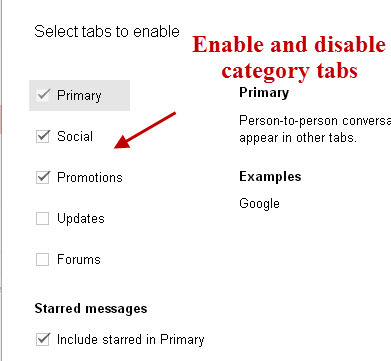 However Gmail will automatically assign labels like promotions, social etc to incoming email, and place email into the appropriate folder. 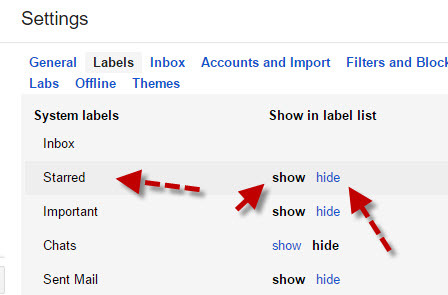 Gmail uses categories and labels to organise email instead of the traditional folders found in most email clients. 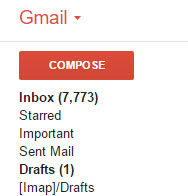 Across the top of the inbox you can see the default category tabs. There are three that are normally active by default,but there are actually 5 default categories in total. You then need to tick or untick the categories you don’t want. If you deselect all except the primary then you revert to the standard inbox without categories. 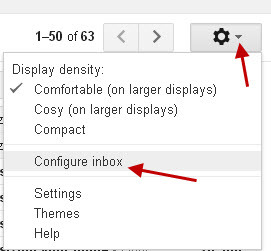 You can go back to tabbed messages by clicking the gear icon and selecting configure inbox. On the left hand side of the screen you will see a Large red compose button. Under the compose button you will see a list of labels that look just like a traditional folder list that you find on most other email clients. You can manage which labels are shown here by clicking on the manage labels link which you will find at the end of the list. If you click this link you are taken to the Settings>labels screen where you can hide or show individual labels. 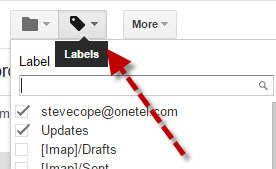 Although Gmail comes with default labels and categories you can also create your own labels. For example if you are organising a holiday you can assign all email from your travel agent,airline etc to an holiday label. 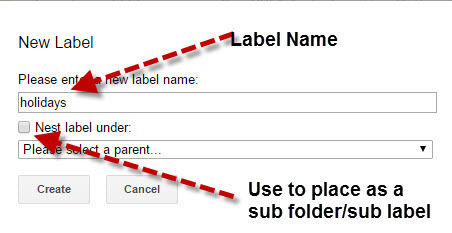 To create a new label locate the create a label link which is under the label list on the left of the screen. The label should appear in the label list by default and is a short cut to the holiday email messages. Use the label icon on the top menu bar to assign a message of group of messages to a label or to un-assign a message from a label. You should note that a message can be assigned to multiple labels. Near the end of the label list you will see a label called all mail. Use this to view all emails regardless of label. This included archived and sent email. Conversations group messages by subject line and are a very convenient way of tracking a series of email replies with someone. 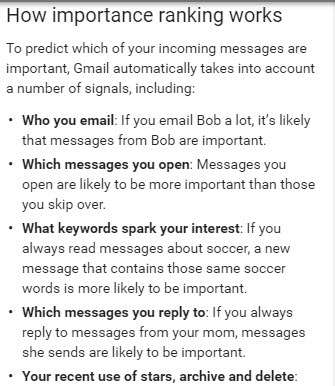 Gmail will automatically mark messages as important by using a yellow marker. 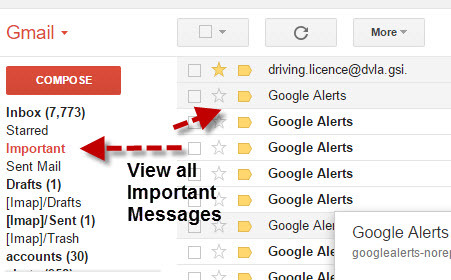 You can teach Gmail by manually marking messages as important. Important messages are also assigned to the important label and you will find a link in the navigation menu on the left. 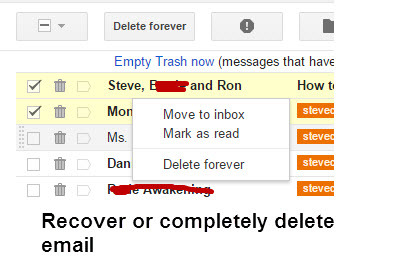 To keep you inbox from being cluttered you should either delete email that you no longer need or archive email that you have read. 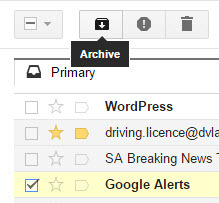 When you archive an email in disappears from your inbox view but will still appear under any other assigned label. Using the holiday label as an example, you would label a message as holiday and then archive it. When you delete an email it is not completely deleted but instead it is re-labelled and moved into the trash folder. They will remain available and recoverable for 30 days after which they are completely deleted. 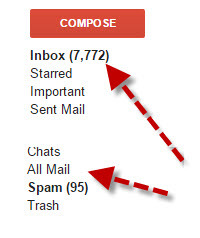 To recover or completely delete emails click on the trash link, select the emails by ticking the selection box, right click at select your option from the menu.